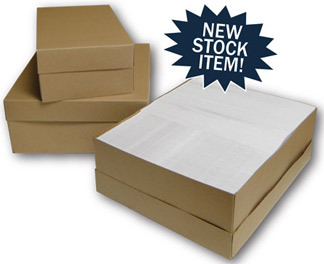 Our envelope boxes have been designed to fit the most popular envelopes sold in American. Made from .018 Kraft chipboard. Corners of the envelope cartons are designed for easy and quick opening and assembly. All will ship flat for economical shipping, plus easy handling and storage. We can custom make special sizes. For #10 envelopesTop Tray: 12x9-11/16x1-3/4"